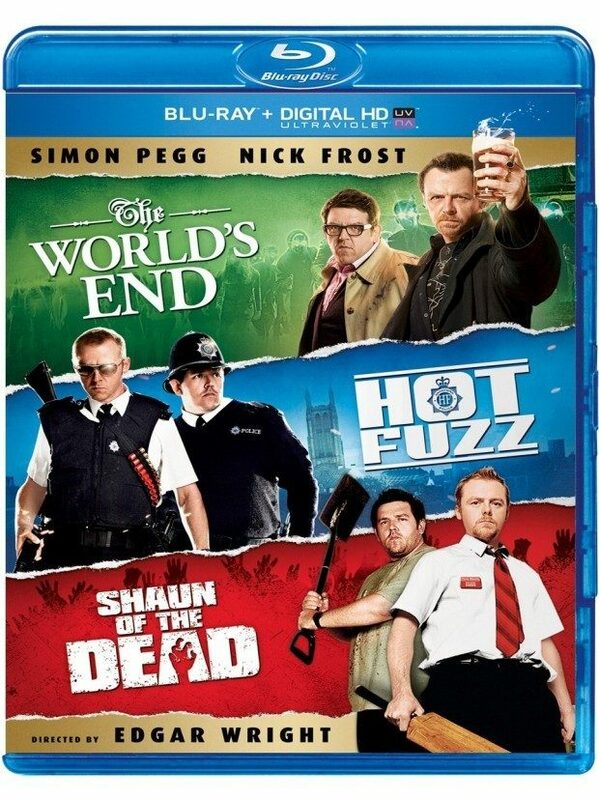 The World's End / Hot Fuzz / Shaun of the Dead Trilogy Just $17.99! You are here: Home / Great Deals / Amazon Deals / The World’s End / Hot Fuzz / Shaun of the Dead Trilogy [Blu-ray] Just $17.99! The World’s End / Hot Fuzz / Shaun of the Dead Trilogy [Blu-ray] Just $17.99! Simon Pegg is hilarious! Head over to Amazon and order the The World’s End / Hot Fuzz / Shaun of the Dead Trilogy [Blu-ray] for Just $8.68! Shipping is FREE on orders of $35+ or if you have Prime. Don’t have Prime? Start a 30 day FREE trial! The World’s End: Twenty years after their first epic pub crawl attempt, the “five musketeers” reunite to complete the ultimate challenge – one night, five friends, twelve bars – a boozy quest on which only the strongest will survive. They soon realize that reaching their final pub, The World’s End, may be the least of their troubles. They’re having the time of their lives, ready to take on the world…but tonight they may have to save it. Simon Pegg and Nick Frost reteam with director Edgar Wright in this wildly entertaining thrill ride that critics call “sheer comic perfection” (Peter Travers, Rolling Stone). Hot Fuzz: Nicholas Angel (Simon Pegg) is a big-city cop who can’t be stopped – but he’s making everyone else on the force look bad. When he is reassigned to a small, quiet town, he struggles with this new, seemingly idyllic world and his bumbling partner (Nick Frost). Their dull existence is interrupted by several grisly and suspicious accidents, and the crime-fighting duo turn up the heat and hand out high-octane, car-chasing, gun-fighting big-city justice in this hilarious hit critics are calling “Outrageous! Uproariously Funny!” (Thelma Adams, US Weekly).